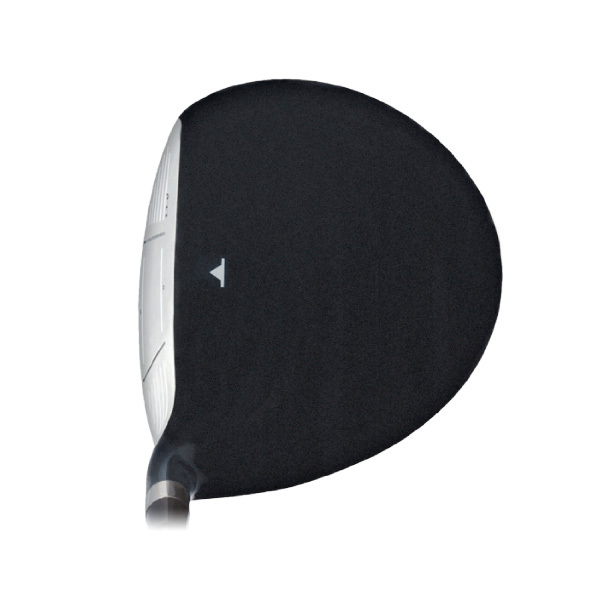 Mid- to semi-deep center of gravity position offers normal trajectory for each loft and size. Forged 10-2-3 beta-titanium variable thickness face construction increases face deflection away from the geometric center of the face for better ball speed on off-center hits. All 915CFE heads designed with variable thickness face to ensure consistent launch angle and superb off-center hit performance. 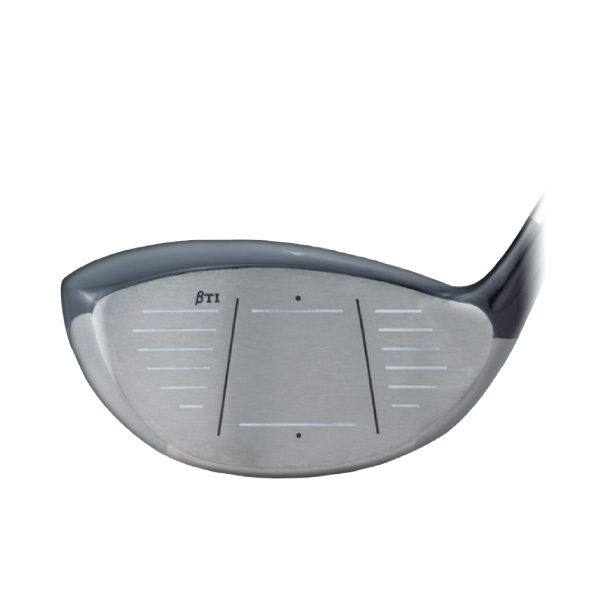 Full round profile shape for higher MOI contributes to the off center hit forgiveness of the variable thickness beta-titanium face. Available in non-offset LH design in 11 and 14 lofts; In RH offset design in 11 and 14 lofts. 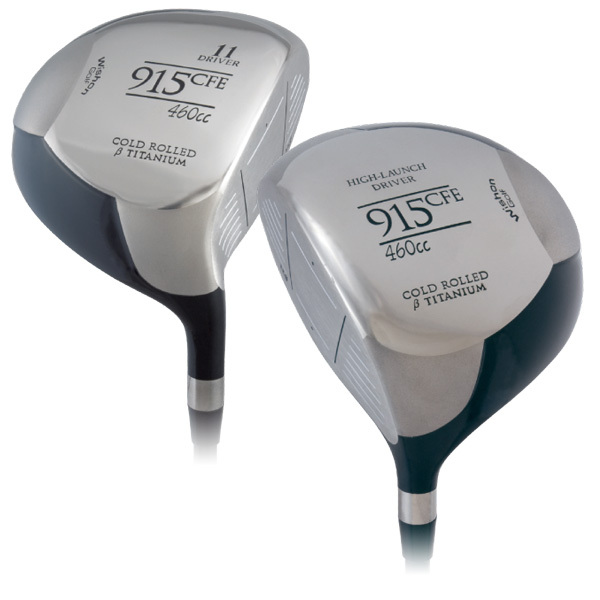 Is the 915CFE 360cc driver fine for high handicappers? if the loft angle and the face angle of the driver head fits the golfer’s swing speed, angle of attack, swing path and face delivery at impact, then ANY driver head can be made to fit ANY golfer. Beyond that, whether a driver performs well for the golfer is a matter of whether the other key fitting factors of length, shaft weight, shaft flex, shaft bend profile, total weight, swingweight and grip size are well fit to the golfer’s swing characteristics. Love to get a new one, only driver I’ve had for the past 12 years, won’t use another driver, just found 2 stress cracks , simply the BEST!!! 12 yrs is a pretty good life for a titanium driver and it sounds like it was a good life from what you say about its performance. Since you have liked everything about that driver, and since the 915CFE was discontinued quite long ago (which means no more exist here), let me suggest a course of action to get a driver in your hands that can play as well as this one. Send us the driver. We’ll measure EVERY specification on the club to the gnat’s rear end. 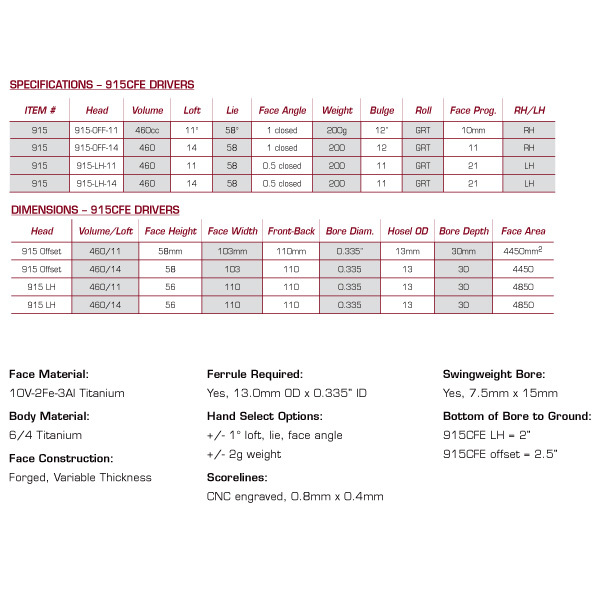 We’ll measure and find one of our current 919THI driver heads with exactly every spec to perfectly match to the specs on the 915 you have. Then we will remove the 915 head and replace it with the 919 head and duplicate every one of the build specs that you have on the 919 club now. It will be the best way to try to get you as close to a perfect duplicate of the club as possible. If this is amenable to you, send me an email through contact@wishongolf.com and we’ll let you know costs and you can let us know your ship back to address. Thanks and RIP for the 915 as it sounds like it has lived a good life in your hands !! I can’t even begin to tell you how many of these heads I’ve sold to golfers struggling with a slice! A time-tested head. I personally know golfers who didn’t quit the game because of this clubhead design. The 915CFE early version. 420cc. I have a personal interest in this great driver as it is the “driver” in my bag. Using a “Steelfiber” shaft with proper swing weight, length, and flex, I can still get respectable comments from younger players in my flight. A high percentage of center rolling hits and great yardage to make the second shot easy. I am over 80 years of age. A great driver head, Tom.